For fitness trainers and athletes, workout and performance goals are everything, but those who wear glasses or contacts face a set of unique challenges. 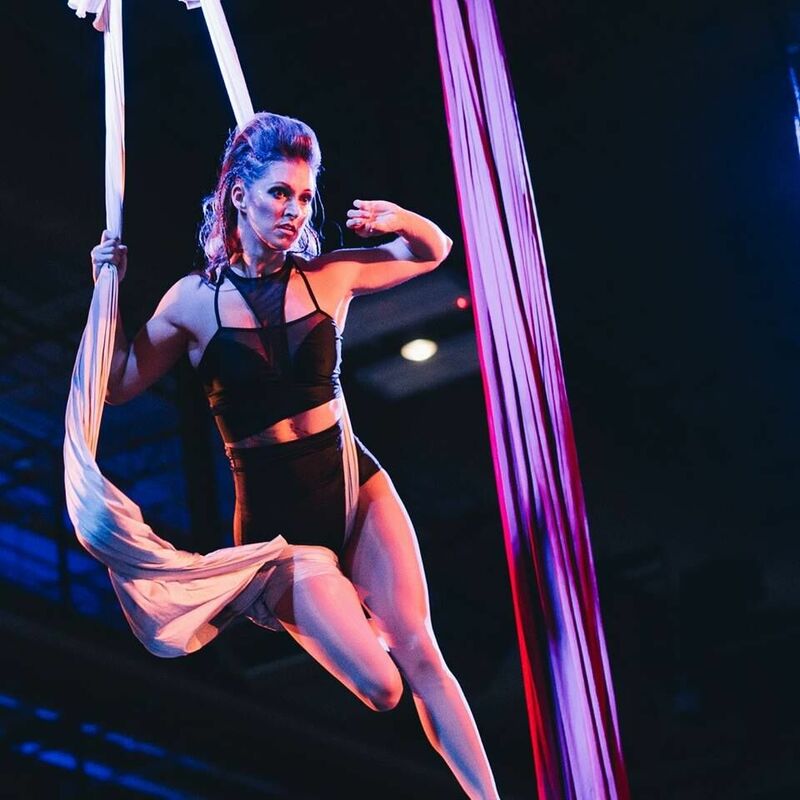 We sat down with Jennifer Huff, an aerial silks performer and pole instructor based here in San Antonio, to hear her story about modern LASIK with Dr. Parkhurst. What made you consider LASIK? Jennifer: I’m near-sighted and started wearing glasses when I was about 14 or 15, but I quickly switched to contacts. I played volleyball and swam so glasses didn’t fit very well into my lifestyle. I’m now married with three boys (ages 19, 15 and 12). I was paying quite a bit for contacts as I needed to wear daily disposables. I have allergies, which led to eye infections, and it got to a point where throwing contacts away daily was the best way to keep my eyes healthy. My expenses for contact exams and contact purchases and contact care products was starting to add up and it just didn’t seem to be a good investment – to literally throw that money in the trash every year. I also had astigmatism in one of my eyes that was pretty strong and couldn’t be corrected any further with lenses. So, I finally decided it was time to look into the possibility of gettingLASIK. How was the transition from contacts to glasses before your surgery? When I was doing activities that required a rotation or spin, it was very disorienting. Not being able to see perfectly affected my balance. I also had trouble executing a lot of inversions because the glasses would move and shift, changing my focal point. It made me dizzy. I would also have trouble with my peripheral vision. With glasses, you have a clear picture right in front of you, but everything on the sides is blurry. This made it difficult to focus on things that you need to in order to regain your balance or equilibrium. And with contacts, the constant threat of them falling out was really stressful. I had to be very careful with stage eye makeup, which would irritate my eyes and get under my contacts. 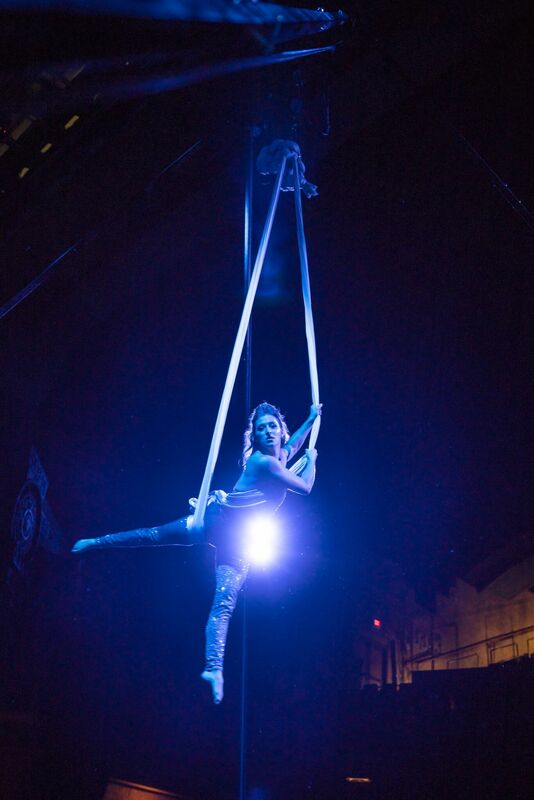 I had times when my eyes would water and want to pop out, which would be very problematic hanging upside-down 8 ft. off the floor. How was the recovery period after surgery? Jennifer: I was thrilled with the procedure and had a really fast recovery. I was up and moving the next day with minimal problems except for the normal dry eyes, which I fixed with prescribed eye drops. I was back to my regular activities within a day or two. I was concerned about the pressure on my eyes when training aerially since I would lift my body weight when performing or training. I thought there was going to be a lot of down time, but was a huge relief to be back in the air so quick. What’s your vision like now, after LASIK? Jennifer: Since having the procedure in June, I can now see better than 20/20! I’m so grateful for my new vision every day. It’s amazing to wake up in the morning and see perfectly clear. Because of my myopia, my corrective lens prescriptions were not evenly matched, which resulted in one eye being stronger than the other. I had the option to keep one eye more dominant, but because I have a history of migraines and my vision usually triggers them, I did opt to go with equal strength across both eyes so my astigmatism would be fixed and I would lose one of my migraine triggers. And, so far so good! I haven’t had a migraine since my surgery and my dry, itchy eyes have been minimalized greatly. Wearing contacts and then glasses really inhibited me from being able to push past where I needed to be. Now I can focus solely on my body and movements. It’s very freeing. Are you thinking about LASIK? If you’re thinking about laser vision correction, we’d love to talk with you more about your vision goals. You can start your researchhere on the Insight blog for the American Refractive Surgery Council and then book a consultation with Parkhurst Nuvision, please call us at 210-615-9358 or schedule here.